| Tools & Resources | Children's Book Corner | Do You Want To Play Catch? Do You Want To Play Catch? This hardback book features colorful illustrations on each page and highlights the author’s fond childhood memories surrounding the question that made him the man he is today. 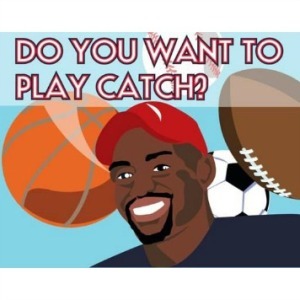 NFL Veteran Linebacker Chris Draft scores a touchdown with his first book, Do You Want To Play Catch? Draft looks back and remembers playing catch with his parents and his brother, whom he calls one of his greatest blessings. The most important thing that he gained from playing catch was spending quality time with his family. During their makeshift ball games, Chris learned a lot about his family, such as his details about his parents’ professions and their attitudes about their jobs and life in general. Through “Do You Want To Play Catch,” the author makes the most of his status as a positive role model, promoting both the importance of physical activity and spending quality time with family in a child’s life. Draft’s simple message cannot be overlooked: There is great value in playing outdoors together as a family. Playing and being fit together as a family is not only important for bonding but also great for good health! 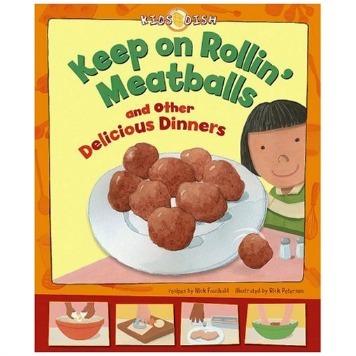 What can you do after reading this book with your child? Ask your child to play catch! Go to your backyard, a park, or an open field or space, such as a yard, driveway, or park, and enjoy the time you spend together away from the computer or television! While playing catch, have the pitcher ask a question while throwing, such as “How was your day”, “What’s your favorite outdoor activity?” or “What do you want to be when you grow up?” The catcher should answer the question as they catch the ball. “Do You Want To Play Catch” by Chris Draft. Clifton Carriage House. Minneapolis, MN: 2010.